"I enjoy the feedback from satisfied clients and the long-term friendships I've developed with my clients." Greg's work to satisfy clients' environmental engineering issues has developed long-term friendships along the way. Greg is a Principal Environmental Engineer and Secretary on the Board of Directors. 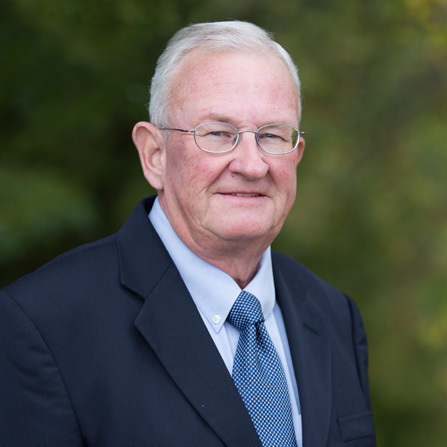 He has designed water and wastewater treatment processes and coordinated mechanical, structural, and control design activities since 1980. He has been involved in the planning and design of over 100 municipal and industrial water and wastewater treatment facilities. Greg has been a member of several value engineering teams on water and wastewater treatment facilities throughout the United States. As a value engineering team member he evaluates options for upgrading existing treatment facilities and alternative facility and process designs using life cycle cost analysis. Greg also works on negotiations with regulatory agency staff in the application of environmental regulations to develop reasonable wastewater discharge permits. Greg is active in professional and trade organizations including Iowa Water Environment Association Government Affairs and North American Meat Institute Environmental Committee. When Greg isn't engineering, he enjoys fishing, farming, and Iowa State football and basketball.